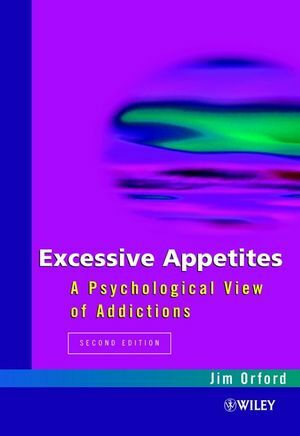 This eagerly awaited new edition of Excessive Appetites will offeryou a complete and comprehensive revision of this classic text inthe field of addictions. Covering a wide variety of different forms of addiction fromalcohol, tobacco and other drugs, through to gambling, eating andsex this book provides an up-to-date and authoritative account ofcore knowledge in this vital area. Comprehensive coverage, from the origins and processes ofaddiction right through to the ways in which people overcome theiraddictions, and the implications for interventions. Jim Orford, University of Birmingham, UK. Changing the Shape of the Field. The Development of Strong Attachment. The Place of Expert Help.